Every year I write a theme song for Winnebago Lutheran Academy students and the students of the WLA Association grade schools which is based on the theme passage of the school year. This year the theme passage is John 1:29 “Look, the Lamb of God, who takes away the sin of the world!" (NIV). This song tries to teach a couple of key concepts about this passage: (1) God demands blood to pay for sins, as he did throughout the Old Testament, requiring sacrifices from his chosen nation, Israel, for their sins; (2) John the Baptist knew that Jesus was the last sacrifice that God demanded to pay for the world's sins and he pointed everyone to the sinless Lamb of God, the perfect, atoning sacrifice; (3) Everyone in the world still sins every day and we desperately need Jesus' perfect sacrifice of himself to pay for our sins. Sheet music can be downloaded from Google Drive. 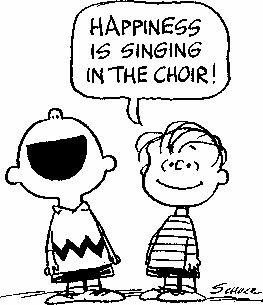 Students of Winnebago Lutheran Academy who have (1) sung in a WLA choir for one year, and (2) are a sophomore, junior, or senior, and (3) are WELS members are eligible to audition for the 2016-2017 Traveling Choir. Click here to read the audition document on Google Docs. In this document are links for all scores, representative Youtube performances, and accompaniment tracks (coming soon). 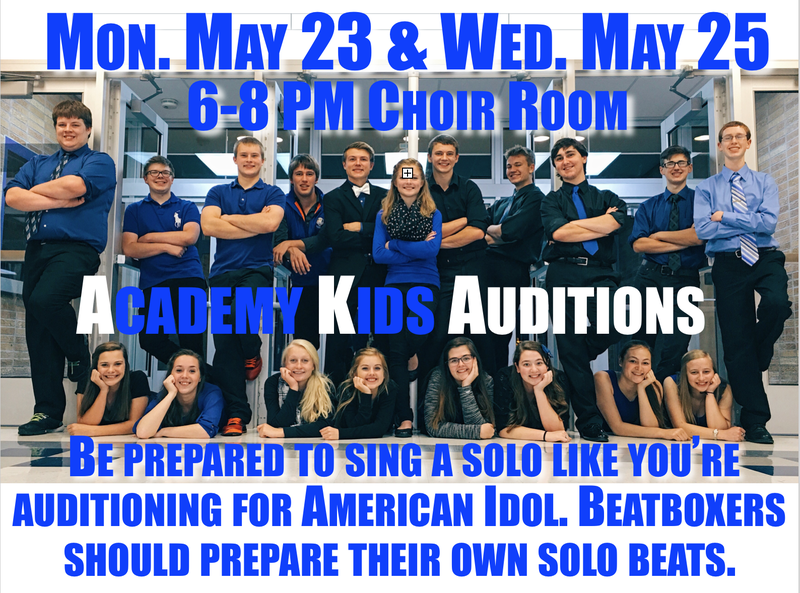 Auditions will be held May 2-6, 2016 in the WLA Choir Room. 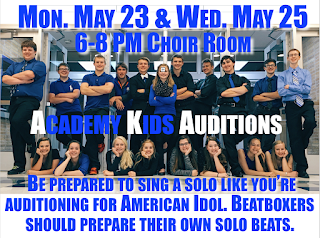 Students who are interested in auditioning should sign up for a 15-minute audition time on the door of the Choir Room.